1. Did you know that an envelope should be addressed in all caps, with street direction and designation abbreviated (i.e., 315 W CENTRAL AVE), with no punctuation, with the addressee’s name and title on the first line, the name of the company on the second line, the street address and suite number on the third line, and the city, two letter state abbreviation, and ZIP code on the last line? Postal OCR machines read from the bottom up to decide where to send the letter to be delivered, so if you use this format, your letter may just get there before one in another format. See USPS Publication 28 for detailed information about addresses. 2. Did you know that in a business letter an attention line is not really necessary? If you are directing it to someone’s attention, just address it to them. There really is no need for the “Attention” unless you do not know someone’s name and want to address it to “Human Resources Manager” or something like that. But with technology and the availability of corporate information today, you may be able to figure out who that person is and get your letter delivered directly to a person instead of to the “Occupant” trash bin. 3. Did you know that irregardless is not a word you should be using? Use regardless instead. 4. 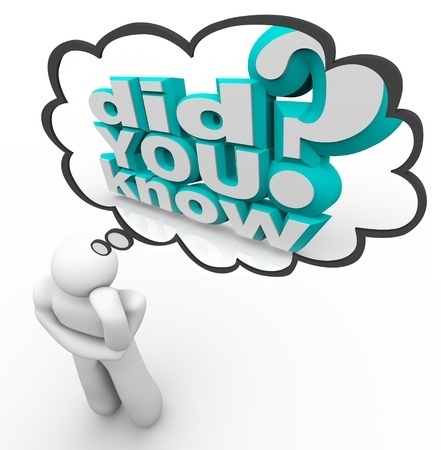 Did you know that emails should be written in English and not in “text speak”? Of course you did! I was just testing you. 5. Did you know that ellipsis marks are three spaced periods (regardless of how Word wants to format them for you)? 6. Did you know that you should proofread pleading captions and titles, inside addresses and re: lines in letters, and other things that may not be obvious to the author, but someone will be looking at so it should be right? Some attorneys have their Word settings so that the spell checker does not check words with all caps–which includes most legal document titles–and so these areas are very often overlooked by the author, even though they are one of the first places the reader will go. You certainly don’t want to start your reader off with a careless typo when they have more of your writing to read, do you? 7. Did you know that emails are correspondence too? Clients, opposing counsel, and judges are all reading our emails. It is important that we take as much care with email as we do with correspondence. Email still reflects your firm, so it should be right. Now you hopefully know one or two new things. Do you have questions about things you come across regularly in writing and proofreading? Send an email to proofthatblog@gmail.com and we will get it in a future issue. It seems that schools these days are teaching young lawyers to leave out the space between the ellipsis marks or perhaps they are being taught that strategy as a space saving maneuver for the briefs that have page limits. I regularly see the ellipsis marks squished together with no spaces. The ellipsis marks – periods with spaces before and after each period (. . .) – are used where quoted material is not included to show where that material has been left out. Perhaps the new spaceless ellipsis mark is because they are learning the shortcut in Word to insert ellipsis marks, but without spaces. My “go to” grammar reference manual says there should be spaces, so don’t get caught up in leaving spaces out because Microsoft says it is OK. If the omitted language is between sentences in the quoted paragraph, use the ending punctuation for the first sentence, space and ellipsis marks, and then the next sentence. For example, “The research was done on Black Friday shopping at the mall. . . . The shoppers last year were rude and exhausted.” If, however, you are using just a portion of a quote within a sentence, use just quotation marks and not ellipsis marks as long as the quoted section is complete. Ellipsis marks are a valuable tool for making sure quotations are correct and reflected accurately. Without ellipsis marks, you would have to either include entire quotations or a reader wouldn’t know for sure that it is not an exact quotation. Just be sure that the writer is not omitting a critical part of the quotation, ellipsis marks or not. You need to make sure that partial quotations being used don’t leave something critical out that might be against the purpose for the quotation in your document. That might give your opponent all the ammunition he needs to ruin your lawyer’s reputation with that judge forever.